Located in the Vallagrina, an area carved out by the Adige river, Tenuta San Leonardo enjoys a temperate climate that benefi ts from the Ora del Garda wind. 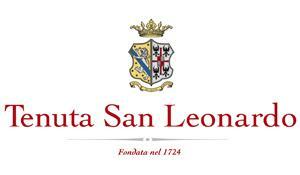 Once a medieval fi ef that spanned over 740 acres, Tenuta San Leonardo has been producing wine for centuries. Under the ownership of the Guerrieri Gonzaga family since the mid-18th century, this estate has often been the setting of historical events, from the marriage of Longbard kings to the negotiation of the WWI armistice with Austria. Today, San Leonardo has approximately 50 acres of vineyards planted with international varietals that thrive in the varied microclimates of the estate. The majority of the vineyards are planted with Cabernet Sauvignon, but Carmenere, Cabernet Franc and Merlot are also abundant. Cultivation is focused on low yields and highly concentrated grapes. The resulting wines have a great depth, concentration and an aristocratic finesse that can go toe-to-toe against the world's finest Bordeaux blends.